Should You Form an LLC For Your Homebased Business? Ask the Leading Legal Authority in Network Marketing! 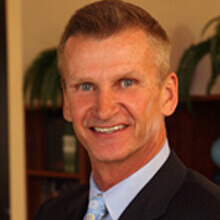 Scott Burnett, Esq. is considered to be one of the nation's leading legal authorities on asset protection and tax education for Corporations and LLC's. As a former trial attorney, Scott collected millions of dollars in settlements. Many of his cases involved peeling back the protection of a business owner's Corporation or LLC, and attacking the personal assets of the owner. He now teaches business owners how to avoid these types of attacks. 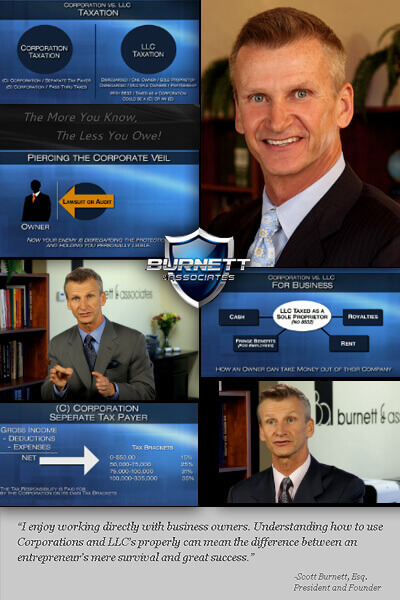 Mr. Burnett is the author of How to Protect Your Assets, and the producer of the Lawsuit Audit Protection Service that provides compliance protection for Corporations and LLC's. He has also written educational articles for Network Marketing professionals such as: "How to lower your taxes by operating your business as a corporation or an LLC rather than a sole proprietorship," and "Should You Form a Corporation or an LLC?" He also hosts popular e-Learning courses such as: "Structure Your Business for Optimal Success: The Benefits of Operating as a Corporation or LLC," and "When is the right time to start a Corporation or an LLC?" Mr. Burnett states, "Whether you are full-time or only a part-time network marketer, everyone in our business can benefit from forming a Corporation or an LLC. There are two basic reasons why I say this: taxes and growth..."
Don't miss this! The tips and insights that Attorney Scott Burnett will share could potentially save you literally THOUSANDS of dollars per year!